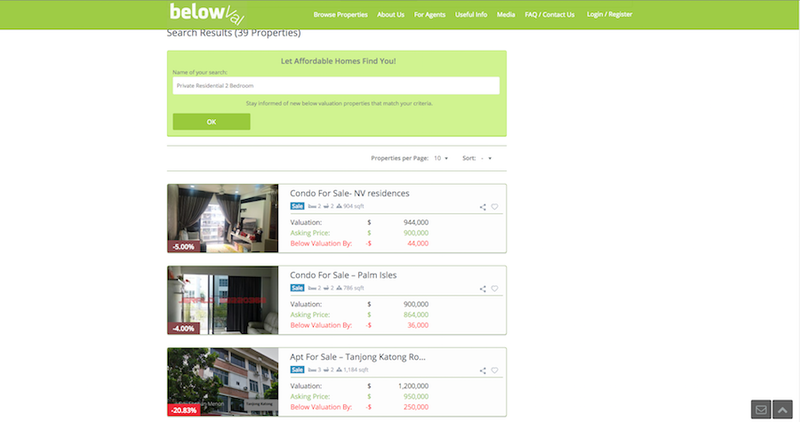 I recently went for the launch of new property site, belowVal, and I have to say I was pretty impressed. Working in the property field has taught me plenty about valuation and how it affects buying behaviours, but watching it being applied in this manner piqued my interest quite a bit. belowVal taps on a little idea that there will always be distressed properties in the market. Some home owners might be looking to relocate urgently while others are migrating. Perhaps, there was a foreclosure. All these properties are usually sold at a price that’s below valuation. The thing is, plenty of these properties are lost on property websites due to the sheer number of ads on those platforms. So what happens to these properties? They get sold to larger institutions like Law Firms, Estate Trustees and Distressed Asset Funds. This means that these institutional investors get the best deals on these properties and can flip them later on. They have a vetting process for all properties that appear on the site – That means you don’t get tonnes of duds, just solid property listings that are really below valuation. The site is really clean to use – The site has clear tabs and filter options to help users find what they want. It’s also designed for mobile and desktop. Value is clearly represented – The valuations and selling prices are clearly contrasted for every property listing on the site. 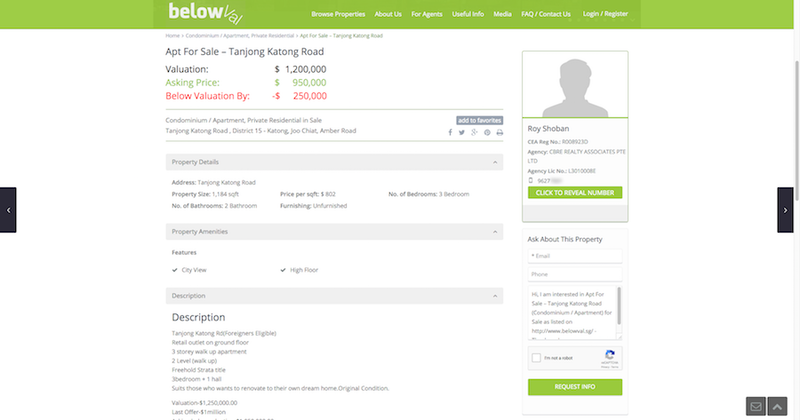 I mean… a 3 bedroom along Tanjong Katong for less than a million!? Impressive. You can see from my screenshots that the price and valuation differences are clearly demarcated. While belowVal still has to prove its viability on a large scale, I think it has a lot going for it. Namely, there’s always a market in Singapore for value hunters and property sellers. In fact, I’d argue that with such a streamlined set of offerings, belowVal would actually attract more genuine buyers and sellers, not just those that are out fishing on the market. I’ll certainly be keeping an eye out for belowVal’s growth, and I hope that this sort of trend bucking, value seeking startups continue to pop up and grow in our country. If you’re looking for a home right now or urgently seeking to sell yours, I think it might be a good idea to check out belowVal. Who knows what kind of property gem you might find.